Striking Platinum nautical anchor pendant. This Platinum anchor measures about 28.5mm top to bottom before the bail by 24mm across. 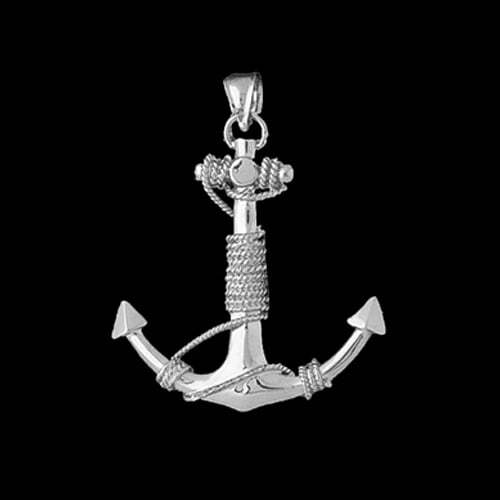 A great looking 3-d anchor pendant. Pendant weighs about 7.25grams.